RAW CONCEPT - A normal carbon fiber shaft has six or seven carbon fiber layers, each 0.15mm thick. 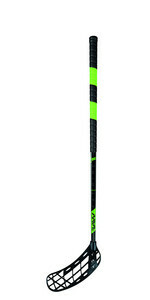 The Raw Concept shaft has 11 layers of carbon fiber, each 0.07 mm thick. Many extremely thin layers give the shaft the desired flexibility and elasticity while keeping the total weight of the shaft exceptionally low. The stick’s name refers to its untreated surface. The untreated shaft is more uniform in quality than a treated one. Some fibers in the shaft always break in the polishing process. The surface of the Raw Concept shaft might have small air bubbles, because the finish is uneven, but they do not make the shaft any weaker. 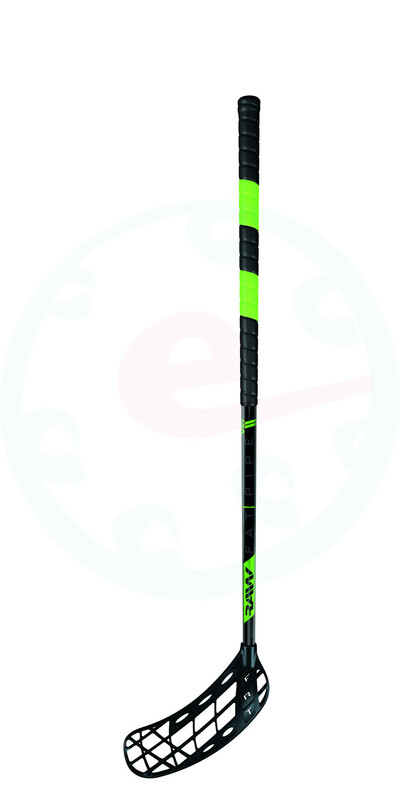 The blade of the Raw Concept stick is made of polypropene (**PP**), which has about 5% smaller specific weight than traditional polyethene (PE and PE-h). The PP blade gives a softer feel and ball touch than a PE blade. Friction is greater in the PP blade. Thicker middle-rail gives smoother touch while giving stiffness to the nose of the blade. Everytime you use forehand of the blade the Power Rail touches the ball and reduces bounces. 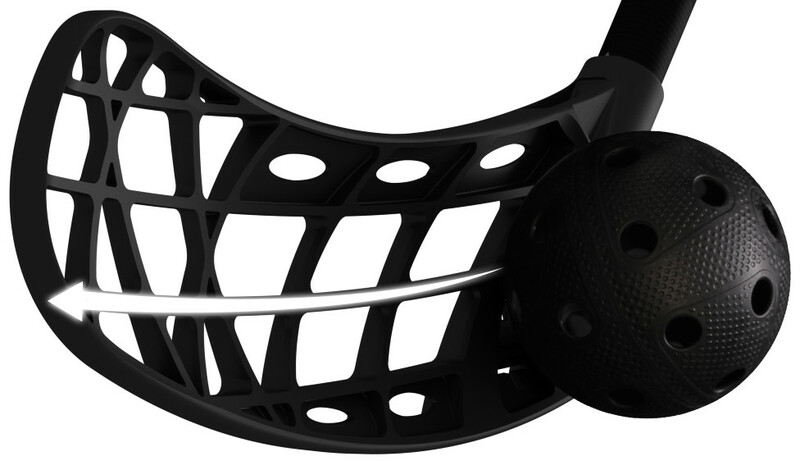 Pre-hook and evenly inclining concavity makes it easy to control the ball. Raw concept grip - The lightest grip made by Fat Pipe. It is not perforated, but it absorbs a sweat very well and doesn't creep.